This incredible work was made by the late Mexican abstract artist Pedro Coronel in 1974. It it titled "Sobre la Tumba de Justino". An explosion of vibrant and brilliant colors. 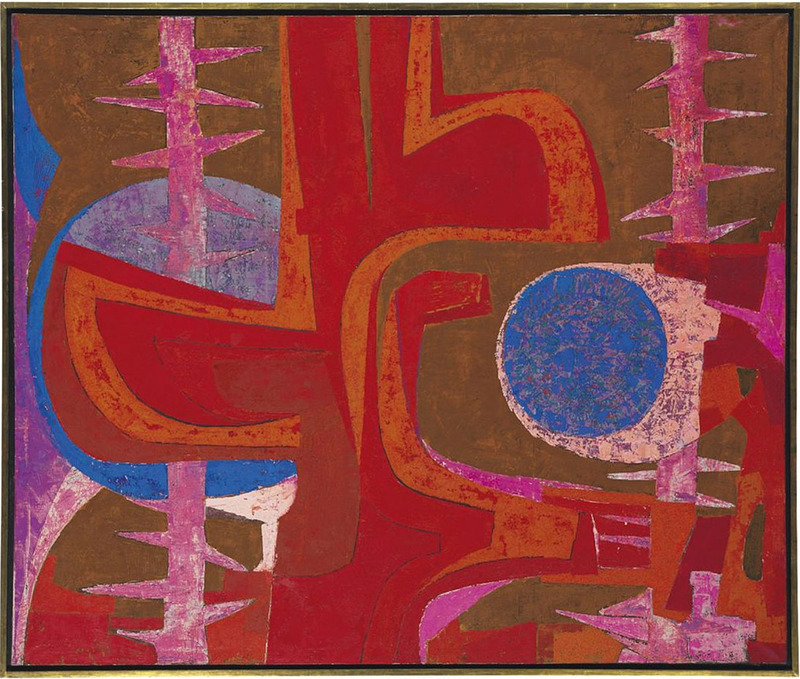 Pedro Coronel was one of the leading forces of abstract art in Mexico during the 1950s throughout the 1970s. During a period spent in Paris (1946) Pedro Coronel visited the workshops of the painter Victor Brauner and the sculptor Constantin Brancusi, both of whom had a strong influence on his artistic development. Pedro Coronel's work is characterized by the colors of pre-Hispanic cultures and a reclaiming of their shapes and motifs. Latin American Sale at Christie's New York on 26 - 27 May 2010.